San Francisco, April 3: Photo-messaging app Snapchat is testing new features including a traditional social networking feature offering 'Status' option -- its own version of Instagram-like "@Mention" stickers along with a new user interface (UI) for Snap Map. To keep track of all the places users check-in at and with whom, the platform is also trying its hands on a feature called "virtual passport" as a private history which users could view or delete singularly, Social Media Today reported on Wednesday. The test features were first discovered by reverse engineer Jane Manchun Wong. 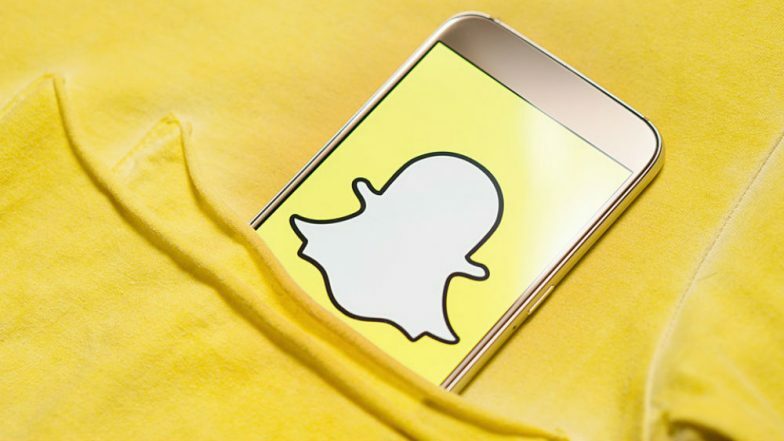 With these features, Snapchat seems to be targeting the "gamifyication" purpose of the platform that Snapchat has been known for, wherein users build records of exchanging snaps with each other every single day and call them "Snap Streaks". Snapchat Reportedly Working on Its In-App Gaming Platform; To Be Launched by Next Month. Snapchat's controversial and criticised redesign had wiped out Snap Streaks, which some users had spent years working on and that did not go well with the teenagers. It makes sense for Snapchat to utilise that compulsion to drive increased activity in the app and by prompting expanded check-ins, Snap will be able to obtain additional audience data to help improve its ad targeting, the report said.